India is a country that is famous for its wonderful landscapes, vibrant festivities, architectural elegance, natural beauty and historical grandeur. It attracts a huge number of travelers from all over the world. The beautiful country offers luxurious stays in different kinds of hotels on vacations. 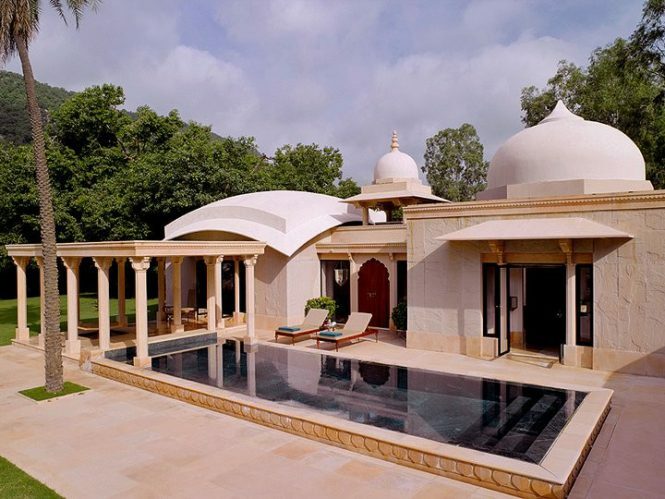 Hotels in India come in different forms, including tree houses, villas, camps, palaces, cottages, bungalows and forts. Boutique hotels have become very popular these days to enjoy a dream stay. These hotels are luxurious homes containing all modern facilities but vary in size and make all your fantasies come true. Boutique hotels enjoy a unique and intimate setting with full service accommodations. 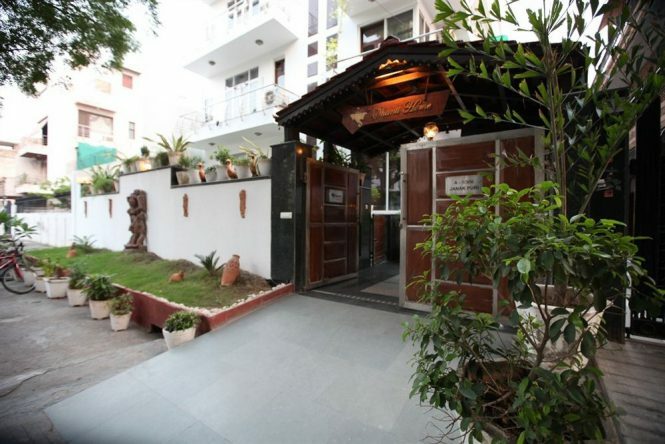 All major tourist destinations of India feature some boutique hotels that you can choose to stay. Here below are few. Built with exceptional elegance, the hotel allows you entering into the cool marble home of luxury and comforts. 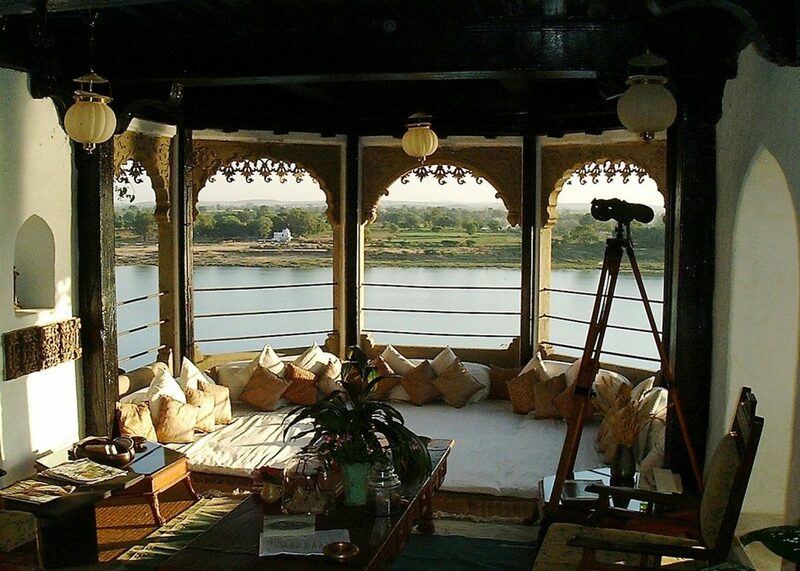 You will feel being at home amidst the big sandstone Jaisalmer fresco and the chairs made from Rajasthani ox carts. The bedrooms are special in their own way and create a peaceful aura for the guests staying there. Each room has a gold-plated elephant headdress or a small balcony, a poster of Indian films, a swish wet room. Rejuvenating spa services and a rooftop restaurant enjoys the views of east over suburbs and trees. The ideal setting for “Sacred Five Trees” is truly inspiring. 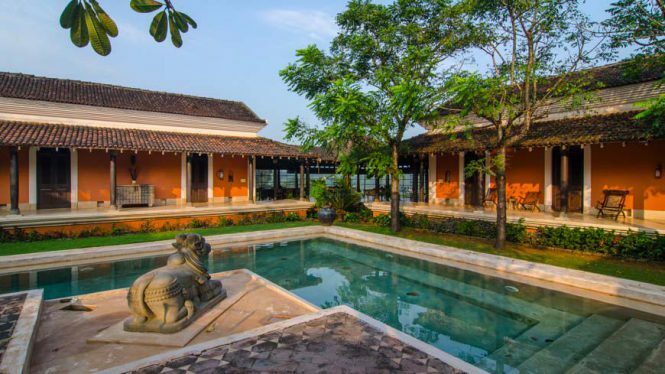 It features a 40 meter-long covered veranda where you can sit and dream amidst the alluring fragrance of jasmine and frangipani. This boutique hotel is given understated decorative touches with copper pots, floating flowers and cane lampshades. Soothe your senses with the charming views of the river, the animal walks, bird chirps and the distant forest. The hospitality is simply awesome that gives the feeling of being at a home of a friend. In decorating the hotel, traditional materials like laterite stone, high wooden ceilings and tiled roofs are used. All guestrooms are having private balconies, wrap around an inner courtyard. Chapslee is a relaxing and pleasant treat, which is far from the buzz of technology. 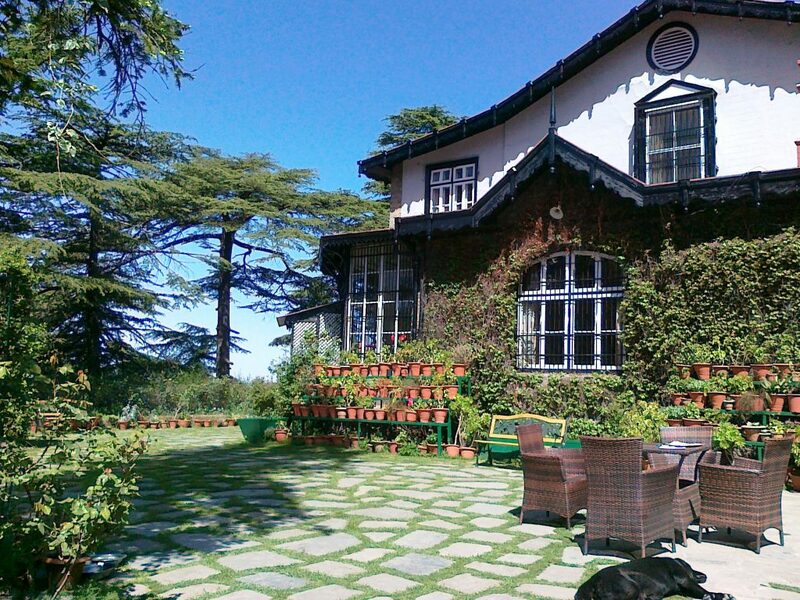 It used to be the summer retreat of the late Raja Charanjit Singh of Kapurthala and currently owned by his grandson. Walls of the hotels feature different antiques like swords, sabres, old-era paintings and embroideries. Rooms are greatly comfortable and the suite is spoiling lavish. Chapslee is a flawless picture of a different era that is going to charm you. This serene accommodation is a cluster of cottages on a palm-fringed beach. 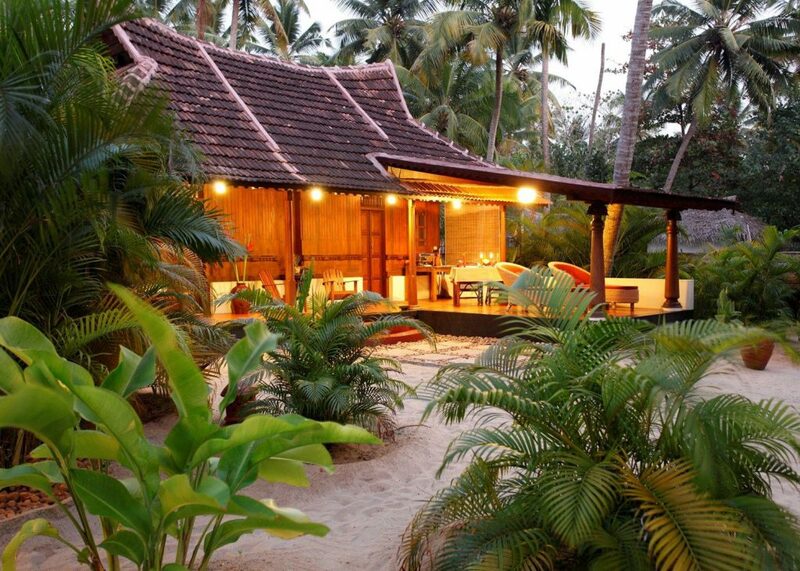 A Beach Symphony in Kerala features luxurious bedrooms, which are large, exquisite, airy and bright. The walls are pigmented in ochre and silk bed sheets are piled high with rich red and orange cushions. The restaurant of the hotel serves variety of lip smacking dishes that can add a special flavor to your stay here. You will get a relief in discovering something different during your arrival at this pleasant place. Situated above the Narmada River, this captivating hotel enjoys the pleasant breeze of surroundings. The architecture of the hotel features pale stone floors, dark timbers and antique shuttered doors. Everything here is delicately restored. Guestrooms feature delicately woven fabrics and enjoy the outstanding views & calm atmosphere. Enjoy delicious foods prepared using fresh vegetables that are cultivated in its garden and cooked very expertly.